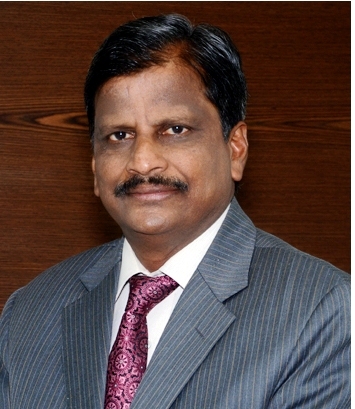 Prof. E. Vayunandan, M.A. (Public Administration), M.Phil and Ph.D has 30 years of teaching experience and research experience to his credit. He worked in IGNOU from August 1987 to 6th March, 2017. He has contributed to the disciplines of Public Administration and Disaster Management. He was involved in the development of BDP elective courses in Public Administration, Master of Public Administration, Post Graduate and Certificate Diploma in Disaster Management. He was the programme coordinator of Ph.D. programme, Master of Public Administration, Post Graduate Diploma in Urban Governance. He had five authored and edited books to his credit. Four students have been awarded Ph. D. Degree under his supervision. He has contributed eight Research Papers and eight Articles to the reputed National and International Books and Journals. His areas of research are Administrative Theory, Governance, Labour administration and Public policy. He worked as Director of National ODL Centre for Local Governance. He was co-organising secretary of International Conference on Disaster Management: Cooperative Networking in South Asia, Governance and Development: issues and strategies and workshop on livelihood options for Disaster Risk Reduction. He has been involved in training of civil servants organised by various National and State level institutions. He was investigator of National Disaster Management Authority – IGNOU project on Capacity Building in Disaster Management for Govt officials and representatives of Panchayat Raj Institutions and rural local bodies at district level. He was member of Project Team of IGNOU and Minister of Agriculture, Govt. of India on “Community Awareness on Disaster Preparedness”. He has been appointed as Vice-Chancellor of Yashwantrao Chavan Maharashtra Open University, Nashik, MAHARASHTRA, INDIA on 8th March, 2017.